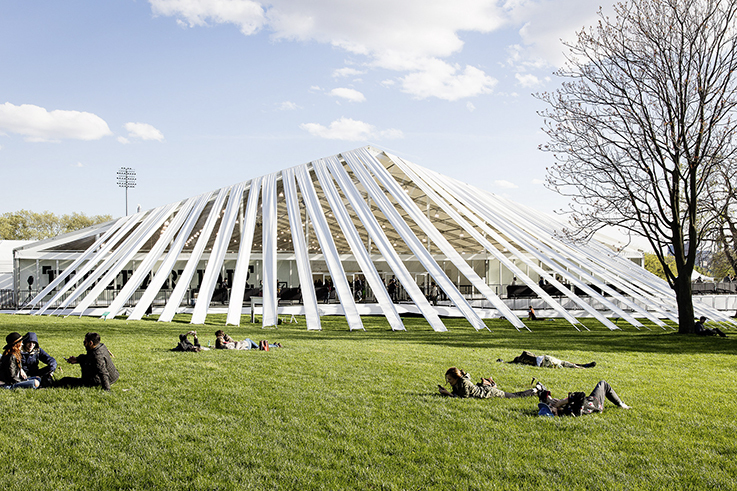 Taking place on Randall’s Island Park May 5 – 7, the sixth edition of Frieze New York brings together more than 200 leading galleries from 31 countries, showcasing ambitious presentations and new commissions by significant international artists from emerging talents to seminal and rediscovered 20th century masters. Camera Austria International 137 will be presented at the Reading Room section. The Reading Room brings together the world’s best arts and culture publications offering single issues, special editions and subscriptions to visitors and an exciting program of events hosted by publications.